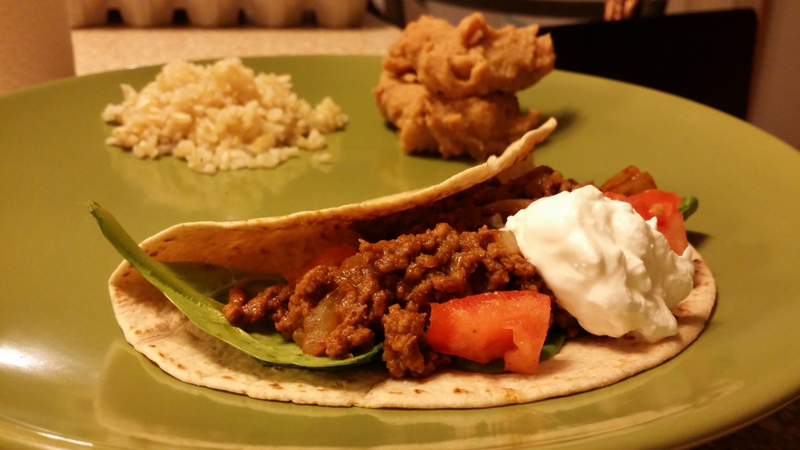 Tacos With Chipotle And Garlic McCormick Skillet Sauces! 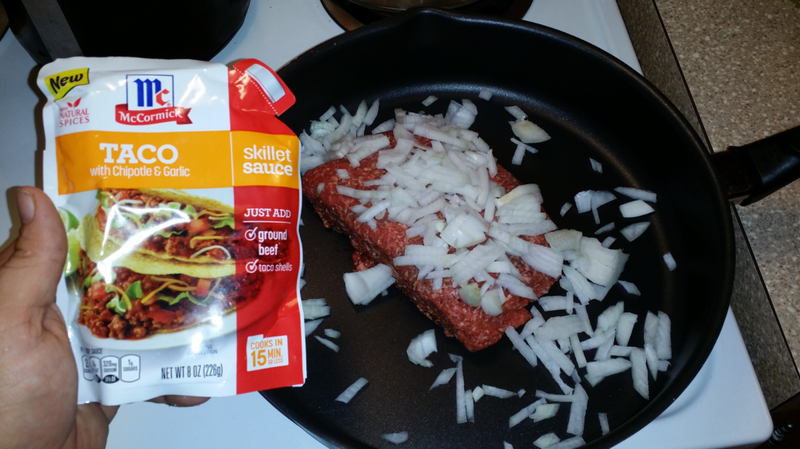 You are here: Home / Recipes / Dinner / Tacos With Chipotle And Garlic McCormick Skillet Sauces! McCormick sent me some of their Skillet Sauces to try. We had never tried them before so we were excited. Hubby and I chose to change our diets and eat no sugar added, so we were happy to find some that we could try. They are so easy to use and quick! They make a great family meal in a hurry! 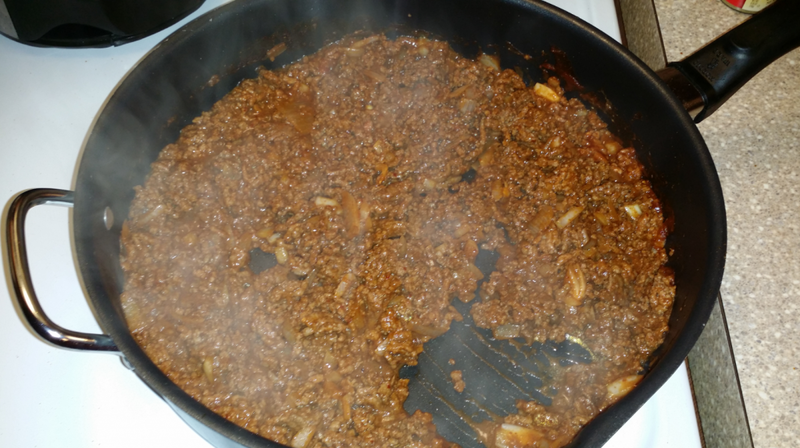 We love extra onions so we threw them in the pan with the sauce and hamburger meat and cooked it all up. 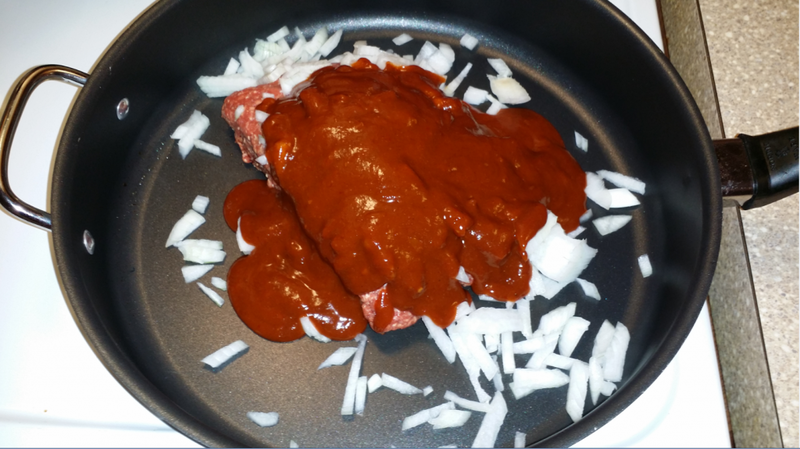 We buy hamburger meat with very little fat so we didn’t need to drain it, but, if you don’t, be sure to brown the meat and then drain the fat before adding the sauce. Once it was done we added a little rice and beans and had a great, quick, no sugar added meal! For almost 125 years, McCormick has been committed to adding flavor. They’ve just launched McCormick Skillet Sauces! A quick and easy way to make your home cooked meals even more delicious. And, they’re as easy as 1,2,3. Simply pour your favorite sauce into a pan with your choice of meat and vegetables, cook for 15 minutes and voila you have a delicious meal! The sauces are made from the highest quality all natural spices and herbs and come in 7 varieties from Smokey Applewood BBQ to Sesame Stir-Fry and only cost $1.99.